(Born 2 May 1975) is an English footballer who currently plays in midfield for American Major League Soccer club Los Angeles Galaxy and the England national team. Twice runner-up for FIFA World Player of the Year and in 2004 the world's highest-paid footballer, Beckham is the first British footballer to play 100 Champions League matches. He was Google's most searched of all sports topics in both 2003 and 2004. With such global recognition he has become an elite advertising brand and a top fashion icon. Beckham was captain of England from 15 November 2000 until the 2006 FIFA World Cup finals, during which he played 58 times. Since then he has continued to represent his country and earned his much-publicized hundredth cap for England against France on 26 March 2008. He is currently England's most-capped outfield player with 112 appearances. "The idea to get tattooed came to me a little while after Brooklyn was born. I was talking to Mel B and her then-husband, Jimmy Gulzar, and the subject of tattoos came up. I ended up going to this Dutch guy who'd done all of Jimmy's. I'd finally realized what I wanted a tattoo to represent. Mine are all about the people in my life, my wife and sons, who I want with me always. When you see me, you see the tattoos. You see an expression of how I feel about Victoria and the boys. They're part of me." 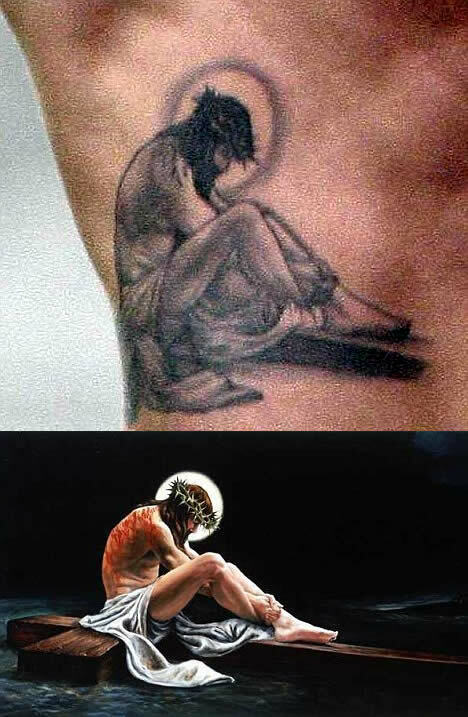 Beckham's tattoo of Jesus, which is on his torso, is taken from the painting The Man Of Sorrows by Matthew R Brooks, which depicts Jesus on his way to the cross. 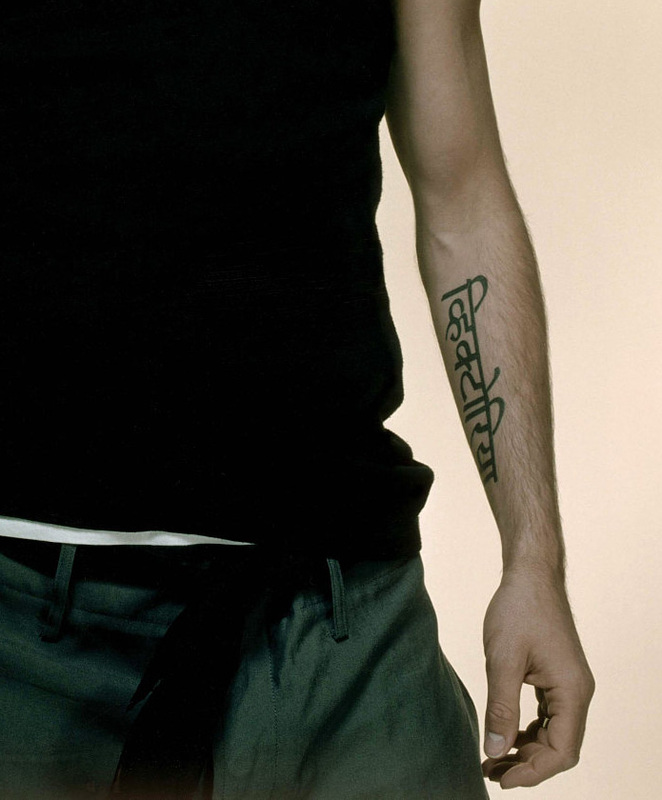 It was Becks' fourth tattoo that depicts Christian iconography. He already has a crucifix on the back of his neck, a guardian angel between his shoulder blades and an angel on his right shoulder. The guardian angel is there to overlook the names of his three children, Brooklyn, Romeo, Cruz and Harper. Beckham also sports the Roman numeral VII on his right arm as a nod to the number seven shirt he wore at Manchester United. The majority of Beckham's skin art has been done by Manchester tattooist Louis Malloy. Want to find out what some of David Beckham's tattoo design symbols mean? Check out: Jesus Tattoos, Angel tattoos, Sanskrit, Memorial tattoos for sons Romeo, Brooklyn, Cruz, daughter Harper Seven and wife Victoria Beckham, Water tattoos, Religious Tattoos see also Wings, Cross, Star Tattoo, Cherub Tattoo Designs.